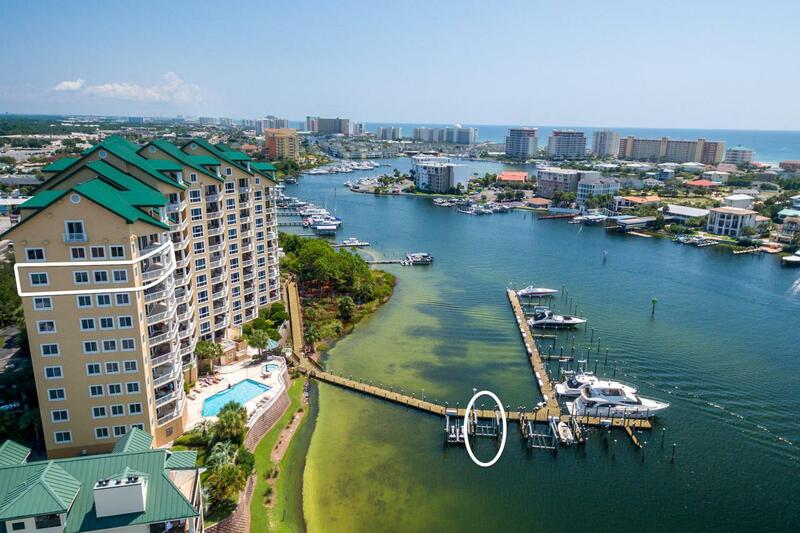 Luxurious, Destin condo with picturesque Gulf, Harbor, and Bay views that wrap around this 8th floor corner unit. Bring your boat; deeded boat slip with lift included! 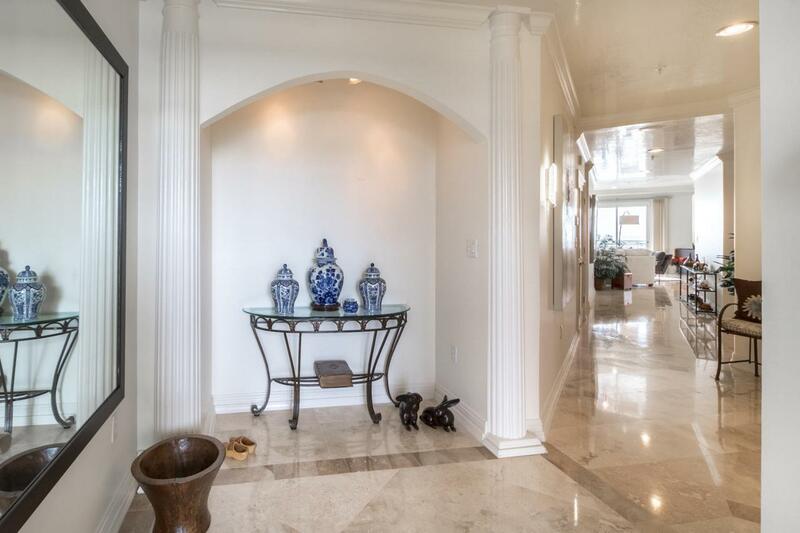 Gorgeous interior finishes like marble flooring, glossy ceilings, crown molding, built in fireplace in the master, custom closet organizers, and a completely transformed kitchen. 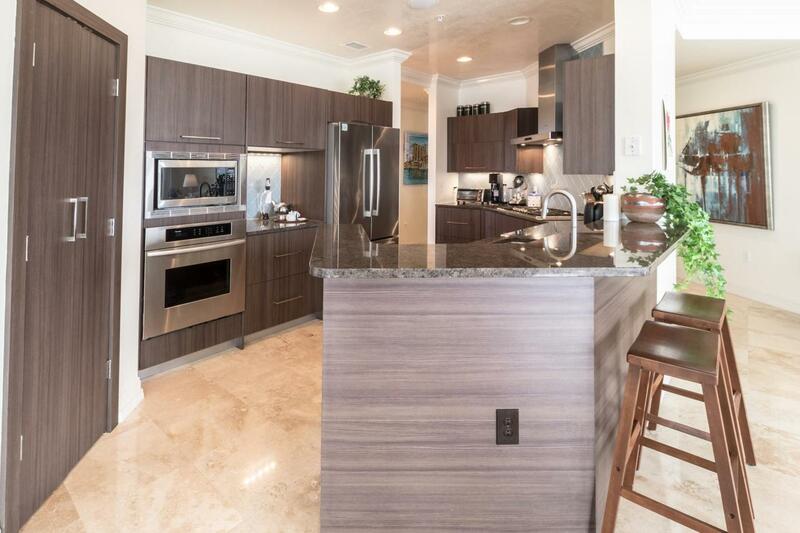 The kitchen is all new with a modern contemporary design featuring Bosch stainless steel appliances, gas cooktop, deep brown cabinetry, and light blue accented titled back splash. 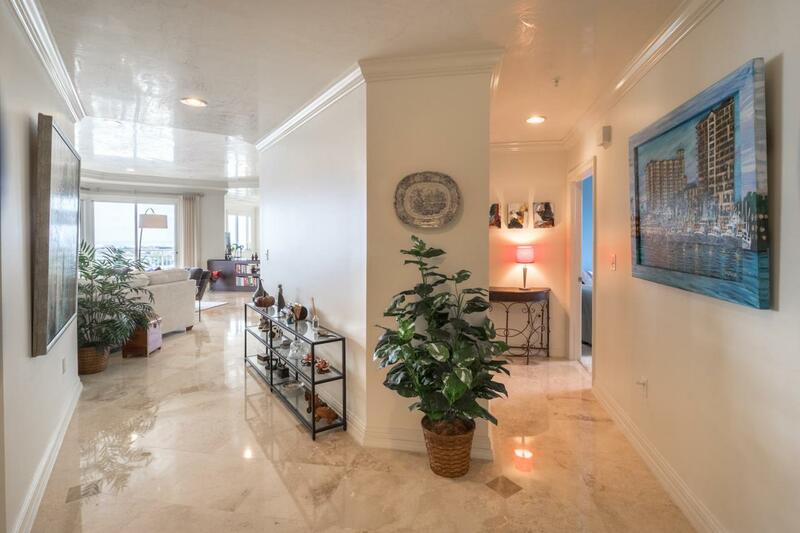 Entertaining is a breeze with 2 adjacent living areas creating a large open room that leads to the 350 sqft balcony equipped with a grilling area and stunning views! The attention to detail and exquisite finishes as well as the panoramic views are a must see to appreciate!Grand Harbor Destin Condos is a gate community offering private garage parking, deed boat slips with power/water, fitness center, community entertainment room, meeting space, and a harbor front pool with hot tub. Short term rentals are not allowed.